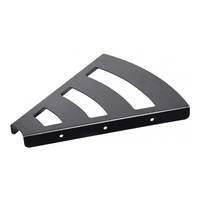 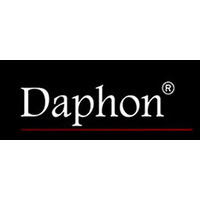 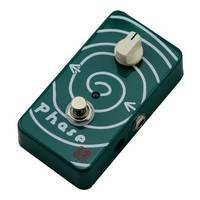 Daphon E10PH Guitar Phaser or Phase Shifter effect pedal. 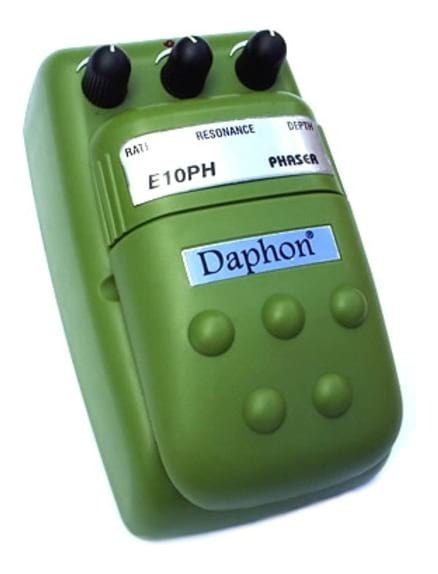 The E10PH serves up classic phasing, creating a rise and fall effect in frequency response, adding a three dimensional effect that adds a swirl to any music style. 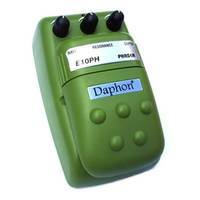 Daphon E10PH Guitar Phaser or Phase Shifter effect pedal. The E10PH serves up classic phasing, creating a rise and fall effect in frequency response, adding a three dimensional effect that adds a swirl to any music style. 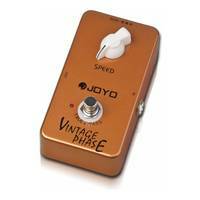 Phasers are great for textual rhythm playing and dynamic solos, giving a sense of swelling tone resembling a jet plane whoosh. Level KnobThis is the volume control of the pedal while it is turned on.Res KnobDetermines the amount of internal feedback to increase the frequency peaks, giving a more intense phasing effect.Depth KnobControls the depth of the phasing sequence to give a more varied tone.Pedal Information: Suitable for Guitar and Bass Runs on a 9v Battery that is includedCan also run on a 9v ac adapter (please check our store) Single Input and Output (1/4" Jack)Heavy duty plastic casing Rubber sole to prevent slipping Although these pedals are designed for electric guitar, their analog design makes them compatible with most other electric instruments, including microphones.